The First National Bank offers the widely accepted VISA Debit and ATM Card for its customers. FNBA's VISA Debt Card provides the convenience of checking in a card. You can pay for purchases directly from your checking account simply by presenting your VISA Debit Card everywhere they are accepted. In our continuing efforts to keep your accounts secure, we have improved our alert system for potential fraud related to your debit card transactions. Click Here to learn more about our debit card fraud prevention service. The First National Bank is a member of the MoneyPass ATM network, which means you can use your card at any MoneyPass ATM - fee free! 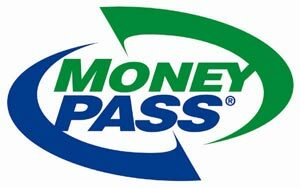 MoneyPass is a nationwide surcharge free network with over 25,000 locations serving all 50 states. The next time you are out of town and need cash look for an ATM with the MoneyPass logo. Click here to search for a MoneyPass ATM near you. If you realize that your ATM or debit card has been lost or stolen during banking hours, immediately call or come into any banking location. An employee will assist you in closing your lost or stolen card and opening a new card. However, if you find that your card has been lost or stolen outside of banking hours, please immediately call 1-866-546-8273.